Who said that some US writers can be isolationist and xenophobic…? When passengers arrive at Palm Springs airport there is no airbridge – you go down steps onto the tarmac, and walk along outdoor pathways to the baggage claim area (Yummo! Air-conditioned!) and then out again into the crisp, hot, dry air that makes this place so attractive. I had visited Palm Springs in November 2006 part of longer journey that included Denver, Aspen and Las Vegas. On this journey, Palm Springs, San Francisco, Boston and Chicago were stopping points. During my 2006 visit my accommodation was at a naturist resort called Desert Sun or Desert Shadows resort. This time I stayed at El Mirasol Villas (www.elmirasol.com), a delightful small naturist place built in the 1940s by Howard Hughes. 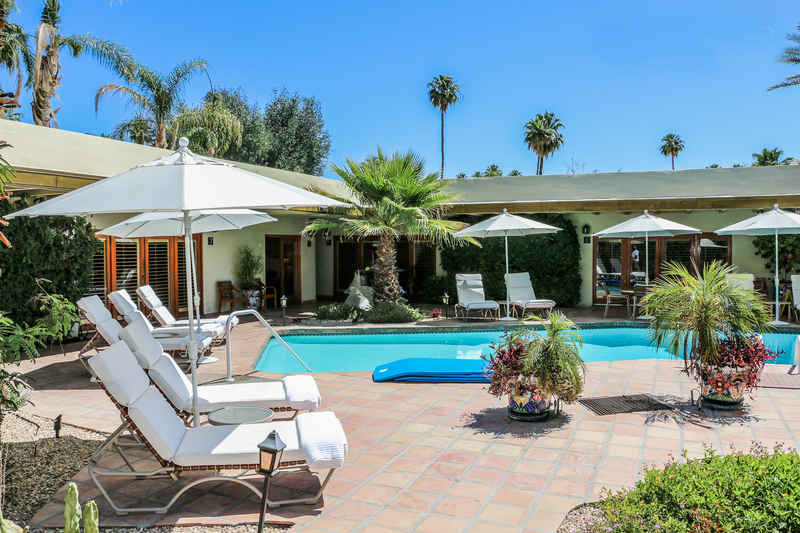 There are about a dozen villas and perhaps ten rooms scattered around lovely gardens with two swimming pools and a large Jacuzzi with views to the western mountains. Hummingbirds, roadrunners, crows and other birds flit through the bougainvillea and jasmine below towering palm trees. 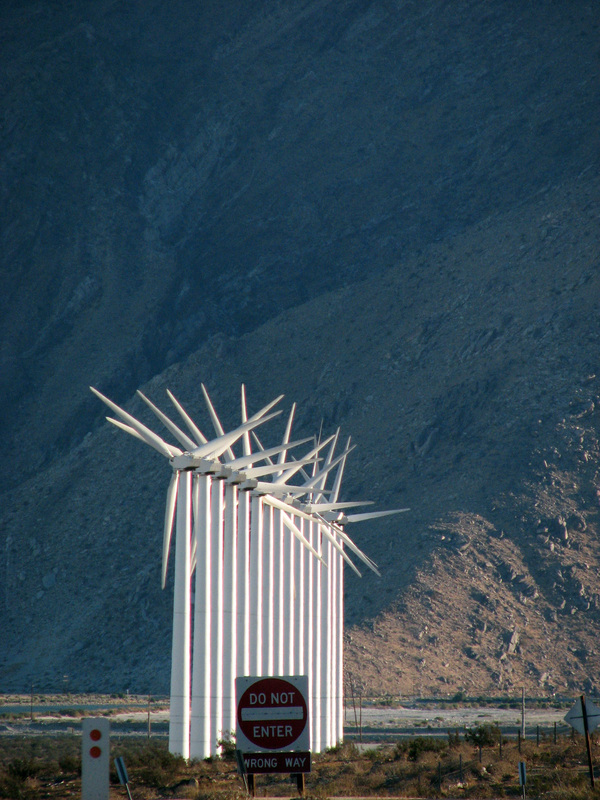 Palm Springs is one of six or seven or eight interlinked cities (some very prosperous and others very much benighted, with several large buildings in the heart of Palm Springs vacant and for sale) spread at the edge of the Mojave Desert and the foothills of the San Jacinto mountain range with its popular – but deadly – hiking trails. It is a couple of hours’ drive to the Park, going past tens of thousands of wind turbines and through small towns such as Yukka Valley and passing by street names such as Kickapoo Trail (! ), as well as many “Trails” named for American Indians: Geronimo Trail, Cherokee Trail, Apache Trail and even Inca Trail … and then came Church Street. The National Park (www.nps.gov/jotr/index.htm) is excellent. A very helpful Visitors’ Centre is located about ten kilometres from the Northern park entrance, and roads and walking trails are well marked. 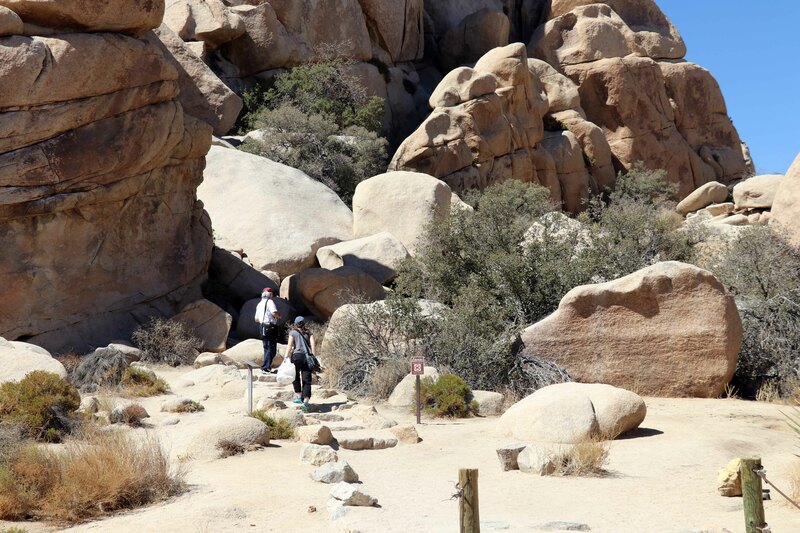 Although a popular hiking and walking and camping area, it is huge enough to find solitude and absolute silence marred only by the crunching of sand under foot – and the guggling of water from the essential water bottle. The desert is never far away. 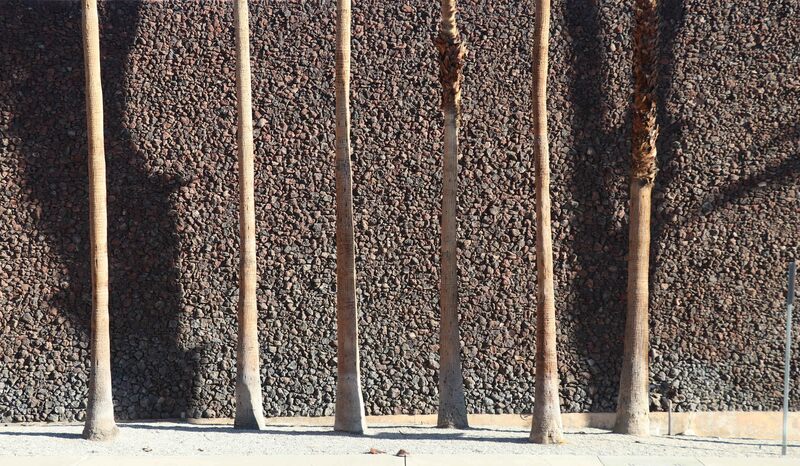 Even in downtown Palm Springs, water is sparingly used to nurture drought-resistant plants – cactus, lantana, olives, agarve – with micro-sprinklers located near the heart of each plant so water is delivered directly to the roots and not wasted. My time there was autumn and daytime temperatures were about 35oC – so downtown areas were largely deserted from about noon to late afternoon apart from the occasional Mustang motor car or bigger “muscle trucks” cruising the empty streets. 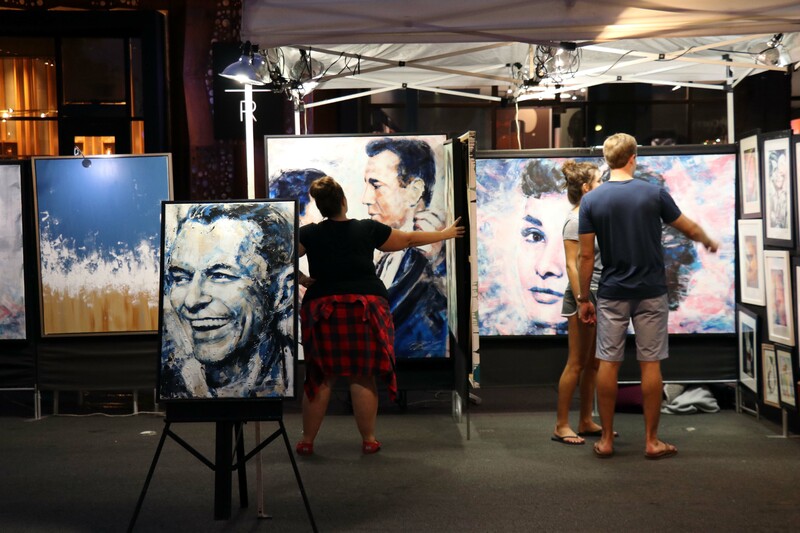 On Thursday nights the place comes alive again as a splendid street market takes over a lot of North Canyon Drive. Food and more food is offered, along with all sorts of art, handicrafts, jewellery, clothing, herbal remedies and even a Chinese man offering neck and shoulder massages. Other night-time entertainment can be found at the numerous casinos (although speaking to one fellow who attended a concert at one of these the event was not terribly good) and at the local theatres and concert halls. The Palm Canyon Theatre is a former school gymnasium converted in a lovely little theatre with a lively support staff (mostly over the age of seventy!) and a huge programme with Guys and Dolls, The Diary of Ann Frank, Hairspray and The Best Little Whorehouse in Texas all programmed between November 2018 and February 2019. I attended a performance of Oklahoma while in Palm Springs. With a modest three-piece orchestra, a huge cast of amateurs and mums and dads and kids, some excellent choreography and singing, it was an enthusiastic and enjoyable production. Perhaps some of those septuagenarians have been part of the theatre company for all of its twenty-two years, and perhaps some of them take advantage of the many “assisted living” retirement villages in the city. 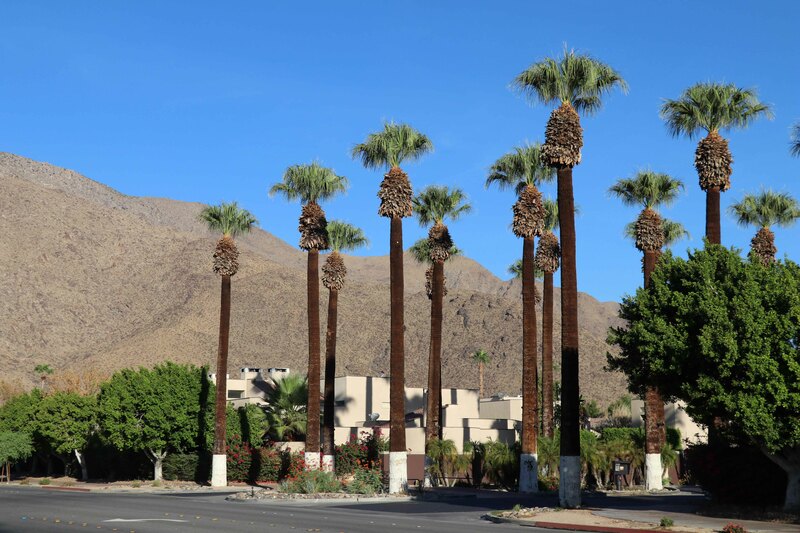 With its clean dry air, lots of golf courses and a surprising number of racquet clubs, Palm Springs is a retiree’s delight. And if that retiree is also a naturist there is no shortage of places where an all-over tan can be worked on. With just one year to go before I can join the ranks of septuagenarians everywhere in the world, perhaps I will be able to return to Palm Springs next year to top up my winter tan, to catch a show or two – and if I am lucky – to find the cable car up the mountains open for business as it has been closed for maintenance on each of my visits so far. This entry was posted in casino, gay, massage, Naturist, Skinny dip, Travel. Bookmark the permalink.